For our debut in presenting Em-Kay at our first art show, we decided to delve deeper into our exploration on our identity and ventured with a personal project. The British Asian youth are becoming increasingly aware of where they come from and aren’t shying away from it in a way they once were. We thought it would be interesting to flip the script and take to the older generation instead and got our mums involved by styling them like us. Since they grew up with a traditional Indian upbringing, they struggled with adjusting to their children evolving with the times so quickly. The same way we love taking it back to our roots and incorporating our cultural traditions into our everyday lifestyle, we brought our mums up to speed to show them that they can do the same with the trends they’re so reluctant to get with. 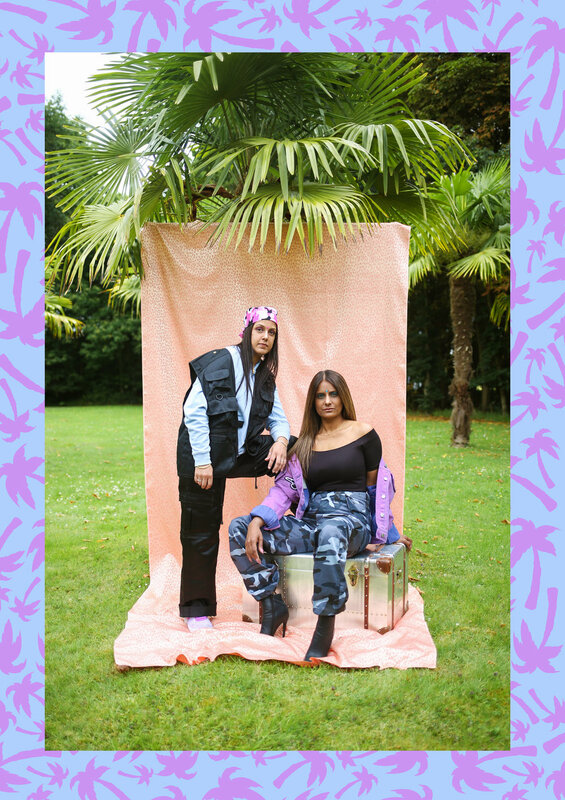 We styled our mums in clothes that we’d wear whilst catering to their levels of comfort, incorporating Indian culture using traditional jewellery and accessories. After years of telling us “I wish I could pull that off, but it would never suit me”, we took it upon ourselves to prove to them they can, and they looked damn good! We hosted an art show to debut our series "Mums & Em-Kay" at Wah Nails in Soho, London on the evening of 6 July, 2017. The event was open invitation and had a successful evening with DJ Nadia Artois spinning all evening, drinks, and hand-made goodie bags featuring "Em-Kay" branded lighters, stickers, a set of 12 bindis and bandanas. Published in gal-dem’s “Home” issue, 2017.